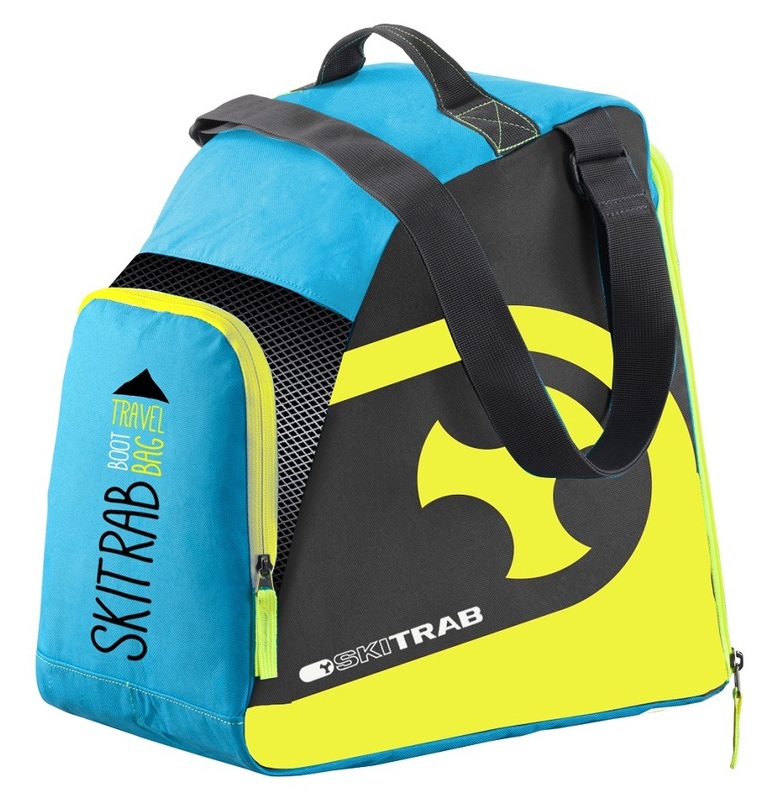 Tote your ski boots in the clearly identified Ski Trab bag. Keep them safely tucked away from all the dangers found on airplanes and in your car. The stiff bottom gives the bag some structure, and an external pocket allows for extra storage. The shoulder strap comes in handy when you don’t feel like paying the extra baggage handling fees. This is a ski boot bag designed for transporting ski boots.